UL recognized and CSA certified PVC-105°C is a low cost, flexible vinyl tubing with superior thermal, electrical and mechanical properties. It is flexible and easy to handle, self-extinguishing, resistant to heat, oil and abrasion, and meets UL VW-1 flame test. This tubing is designed for electrical applications, general purpose bundling and many other uses. It is non-corrosive, fungus resistant, UV stable and lead free. Standard colors are black and clear. 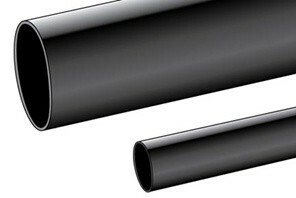 Multipurpose PVC Extruded 105°C Tubing.